Amphetamines are a group of powerful and highly addictive substances that dramatically affect the central nervous system. They induce a feeling of well-being and improve alertness, attention, and performance on various cognitive and motor tasks. Closely related are the socalled "designer amphetamines," the most well known of which is the "club drug" MDMA, best known as "ecstasy." Finally, some over-the-counter drugs used as appetite suppressants also have amphetamine-like action. Amphetamine-related disorders refer to the effects of abuse, dependence, and acute intoxication stemming from inappropriate amphetamine and amphetamine-related drug usage. Several amphetamines are currently available in the United States. These include dextroamphetamine (Dexedrine), methamphetamine (Desoxyn), and methylphenidate (Ritalin). These Schedule II stimulants, known to be highly addictive, require a triplicate prescription that cannot be refilled. Amphetamines are also known as sympathomimetics, stimulants, and psychostimulants. Methamphetamine, the most common illegally produced amphetamine, goes by the street name of "speed," "meth," and "chalk." When it is smoked, it is called "ice," "crystal," "crank," and "glass." Methamphetamine is a white, odorless, bitter-tasting crystalline powder that dissolves in water or alcohol. The leaves of the East African bush Catha edulis can be chewed for their stimulant effects. This drug, cathinone or Khat, has an effect on most of the central nervous system, in addition providing the other properties of amphetamines. Illegal laboratories have begun making methcathinone, which has effects similar to cathinone. Methcathinone, also known as "crank," is easily synthesized from ephedrine or pseudoephedrine. Amphetamines were initially produced for medical use, and were first used in nasal decongestants and bronchial inhalers. Early in the 1900s, they were also used to treat several medical and psychiatric conditions, including narcolepsy (a rare condition in which an individuals falls asleep at dangerous and inappropriate moments and cannot maintain normal alertness), attention-deficit disorders, obesity , and depression. They are still used to treat these disorders today. Amphetamine-like substances called ephedrine and propranolamine are available over the counter in the United States and are used as nasal decongestants. Phenylpropanolamine is also used as an appetite suppressant, and is available over the counter as well. These are less potent than the classic amphetamines, but are still subject to abuse, partly because of their ready availability and low price. In the 1970s, governmental agencies initiated restrictions increasing the difficulty of obtaining amphetamines legally through prescription. During this same time period, a drug chemically related to the amphetamines began to be produced. This so-called designer drug, best known as "ecstasy," but also as MDMA, XTC, and Adam, has behavioral effects that combine amphetamine-like and hallucinogen-like properties. The structure of amphetamines differs significantly from that of cocaine, even though both are stimulants with similar behavioral and physiological effects. Like cocaine, amphetamine results in an accumulation of the neurotransmitter dopamine. It is this excessive dopamine concentration that appears to produce the stimulation and feelings of euphoria experienced by the user. Cocaine is much more quickly metabolized and removed from the body, whereas amphetamines have a much longer duration of action. A large percentage of the drug remains unchanged in the body, leading to prolonged stimulant effects. Amphetamine dependence, which refers to chronic or episodic binges (known as "speed runs"), with brief drug-free periods of time in between use. Amphetamine abuse, which is less severe than dependence. Individuals diagnosed with amphetamine abuse have milder but nevertheless still substantial problems due to their drug usage. Amphetamine intoxication, which refers to serious maladaptive behavioral or psychological changes that develop during, or shortly after, use of an amphetamine or related substance. Amphetamine withdrawal, which refers to symptoms that develop within a few hours to several days after reducing or stopping heavy and prolonged amphetamine use. Withdrawal symptoms are, in general, opposite to those seen during intoxication and include fatigue , vivid and unpleasant dreams, insomnia or hypersomnia (too much sleep), increased appetite and agitation or slowing down. All amphetamines are rapidly absorbed when taken orally, and even more rapidly absorbed when smoked, snorted, or injected. Tolerance develops with both standard and designer amphetamines, leading to the need for increasing doses by the user. The classic amphetamines, dextroamphetamine, methamphetamine, and methylphenidate, produce their primary effects by causing the release of catecholamines, especially dopamine, in the brain . These effects are particularly strong in areas of the brain associated with pleasure, specifically, the cerebral cortex and the limbic system, known as the "reward pathway." The effect on this pathway is probably responsible for the addicting quality of the amphetamines. Catecholamines are any of several compounds found naturally in the body and act as hormones or neurotransmitters in the sympathetic nervous system. Dopamine, an intermediate substance that emerges from the biosynthesis of ephinephrine and norepinephrine, is one of those compounds. Designer amphetamines, most notably MDMA, causes the release of catecholamines, dopamine and norepinephrine; and in addition, releases serotonin. Serotonin, also a neurotransmitter, produces hallucinogenic effects. The clinical effects of designer amphetamines blend the effects of classic amphetamines with those of hallucinogenic drugs, such as LSD. CLASSIC AMPHETAMINES. According to the DSM-IVTR , symptoms of heavy, chronic, or episodic use of amphetamine, known as amphetamine dependence, can be very serious. Amphetamine dependence is characterized by compulsive drug-seeking and drug use leading to functional and molecular changes in the brain. Aggressive or violent behavior may occur, especially when high doses are ingested. The individual may develop anxiety or paranoid ideas, also with the possibility of experiencing terrifying psychotic episodes that resemble schizophrenia , with visual or auditory hallucinations , delusions such as the sensation of insects creeping on the skin, known as "formication." hyperactivity, hypersexuality, confusion, and incoherence. Amphetamine-induced psychosis differs from true psychosis in that despite other symptoms, the disorganized thinking that is a hallmark of schizophrenia tends to be absent. Amphetamine dependence consistently affects relationships at home, school and/or work. Amphetamine abuse is less serious than dependence, but can cause milder versions of the symptoms described above, as well as problems with family, school, and work. Legal problems may stem from aggressive behavior while using, or from obtaining drugs illegally. Individuals may continue to use despite the awareness that usage negatively impacts all areas of their lives. Acute amphetamine intoxication begins with a "high" feeling which may be followed by feelings of euphoria. The user experiences enhanced energy, becoming more outgoing and talkative, and more alert. Other symptoms include anxiety, tension, grandiosity, repetitive behavior, anger, fighting, and impaired judgment. In both acute and chronic intoxication, the individual may experience dulled feelings, along with fatigue or sadness, and social withdrawal. These behavioral and psychological changes are accompanied by other signs and symptoms including increased or irregular heartbeat, dilation of the pupils, elevated or lowered blood pressure, heavy perspiring or chills, nausea and/or vomiting, motor agitation or retardation, muscle weakness, respiratory depression, chest pain, and eventually confusion, seizures , coma, or a variety of cardiovascular problems, including stroke . With amphetamine overdoses, death can result if treatment is not received immediately. Long-term abuse can lead to memory loss as well, and contributes to increased transmission of hepatitis and HIV/AIDs. Impaired social and work functioning is another hallmark of both acute and chronic intoxication. Following amphetamine intoxication, a "crash" occurs with symptoms of anxiety, shakiness, depressed mood, lethargy, fatigue, nightmares, headache, perspiring, muscle cramps, stomach cramps, and increased appetite. Withdrawal symptoms usually peak in two to four days and are gone within one week. The most serious withdrawal symptom is depression, possibly very severe and leading to suicidal thoughts. DESIGNER AMPHETAMINES. 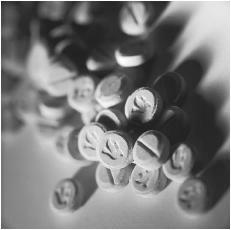 Use of so-called designer amphetamines, the best-known of which is MDMA, leads to symptoms of classic amphetamine use. Users report a sense of feeling unusual closeness with other people and enhanced personal comfort. They describe seeing an increased luminescence of objects in the environment, although these hallucinogenic effects are less than those caused by other hallucinogens, such as LSD. Some psychotherapists have suggested further research into the possible use of designer amphetamines in conjunction with psychotherapy . This idea is highly controversial, however. Like classic amphetamines, use of MDMA produces cardiovascular effects of increased blood pressure, heart rate, and heart oxygen consumption. People with preexisting heart disease are at increased risk of cardiovascular catastrophe resulting from MDMA use. MDMA is not processed and removed from the body quickly, and remains active for a long period of time. As a result, toxicity may rise dramatically when users take multiple doses over brief time periods, leading to harmful reactions such as dehydration, hyperthermia, and seizures. MDMA tablets often contain other drugs, such as ephedrine, a stimulant, and dextromethorphan, a cough suppressant with PCP-like effects at high doses. These additives increase the harmful effects of MDMA. It appears also to have toxic effects on the brain's serotonin system. In tests of learning and memory, MDMA users perform more poorly than nonusers. Research with primates show that MDMA can cause long-lasting brain damage. Exposure to MDMA during the period of pregnancy in which the fetal brain is developing is associated with learning deficits that last into adulthood. Amphetamine dependence and abuse occur at all levels of society, most commonly among 18- to 30-year-olds. Intravenous use is more common among individuals from lower socioeconomic groups, and has a male-to-female ratio of three or four to one. Among non-intravenous users, males and females are relatively equally divided. An annual study known as the Monitoring the Future Study , or MTF , examines drug use and attitudes related to drugs held by American teenagers. It focuses primarily on teens in the eighth, 10th, and 12th grades, but also on young adults across the country. Recent data on methamphetamine use showed that in 1997, 4.4% of 12th graders had tried crystal methamphetamine at least once in their lifetime. This represented an increase from 2.7% in 1990. Also in 1997, 2.3% of seniors reported having used crystal methamphetamine at least once during the past year. This represented an increase from 1.3% in 1990. According to the 2000 National Household Survey on Drug Abuse , approximately 8.8 million Americans have tried methamphetamine at some time during their lives. Data from the 2000 Drug Abuse Warning Network (DAWN) , which collects information on drug usage problems from emergency room departments in 21 metropolitan areas found that methamphetamine-related problems increased from 10,400 in 1999 to 13,500 in 2000, an increase of 30%. Treatment admissions reports by the National Institute of Drug Abuse (NIDA) Community Epidemiology Work Group , or CEWG , showed that as of June 2001, methamphetamine usage continued to be the leading drug of abuse among clients in treatment in the San Diego area and Hawaii. Methamphetamine is the most prevalent illegal drug in San Diego. Both San Francisco and Honolulu also reported substantial methamphetamine use problems during the late 1990s. Increased use was also reported in Denver, Los Angeles, Minneapolis/St.Paul, Phoenix, Seattle, and Tucson. Amphetamines are a group of powerful and highly addictive substances that dramatically affect the central nervous system. Closely related are the so-called "designer amphetamines," the most well-known of which is the "club drug" MDMA, or "ecstasy" (pictured above). Use of MDMA produces increased blood pressure, heart rate, and heart oxygen consumption. MDMA is not processed and removed from the body quickly, and remains active for a long period of time. As a result, toxicity may rise dramatically when users take multiple doses over brief time periods, leading to harmful reactions such as dehydration, hyperthermia, and seizures. According to the NIDA, at a time when abuse of most illicit drugs has leveled off or declined slightly among youth in the United States, one drug has greatly increased in popularity: MDMA. It is the only drug for which an increase in use was shown among American 10th and 12th graders between 1999-2000. That year, even younger adolescents at the eighth-grade level showed an increase in use. Other evidence from NIDA shows that MDMA use is also increasing among older Americans who attend dance clubs, or all-night parties called "raves." Increasingly, Americans of diverse ages, social classes, and sexual orientations are using this drug in diverse social settings around the country. Evidence indicates that in 2001, the rate of increase in teen use of MDMA slowed down. At the time the 2001 survey was conducted, of teens in grade eight, 1.8% reported using MDMA in the last month. Teens in grade 10 reported a 2.6% use, and in grade 12, 2.8% use in the last month. Survey data from 2001 show that an increasing number of high school seniors—nearly half— say they believe that MDMA poses a great health risk. Amphetamine dependence refers to chronic or episodic use of amphetamine involving drug binges known as "speed runs." These episodes are punctuated by brief, drug-free periods. Aggressive or violent behavior is associated with amphetamine dependence, particularly when high doses are ingested. Intense but temporary anxiety may occur, as well as paranoid ideas and psychotic behavior resembling schizophrenia. Increased tolerance and withdrawal symptoms are part of the diagnostic picture. Conversely, some individuals with amphetamine dependence become sensitized to the drug, experiencing increasingly greater stimulant, and other negative mental or neurological effects, even from small doses. Amphetamine abuse, while not as serious as amphetamine dependence, can also cause multiple problems. Legal difficulties are common, in addition to increased arguments with family and friends. If tolerance or withdrawal occur, amphetamine dependence is diagnosed. Amphetamine intoxication refers to serious behavioral or psychological changes that develop during, or shortly after, use of amphetamine. Intoxication begins with a "high" feeling, followed by euphoria, enhanced energy, talkativeness, hyperactivity, restlessness, hypervigilance indicated by an individual's extreme sensitivity, and closely observant of everything in the environment). Other symptoms are anxiety, tension, repetitive behavior, anger, fighting, and impaired judgment. With chronic intoxication, there may be fatigue or sadness and withdrawal from others. Other signs and symptoms of intoxication are increased heartrate, dilation of the pupils, elevated or lowered blood pressure, perspiration or chills, nausea or vomiting, weight loss, cardiac irregularities and, eventually, confusion, seizures, coma, or death. During amphetamine withdrawal, intense symptoms of depression are typical. Additional diagnostic symptoms are fatigue, vivid and unpleasant dreams, insomnia or sleeping too much, increased appetite, and agitation. According to the NIDA, the most effective treatments for amphetamine addiction are cognitive-behavioral interventions. These are psychotherapeutic approaches that help the individual learn to identify their problematic patterns of thoughts and beliefs, and to change them. As a result of changed thoughts and beliefs, feelings become more manageable and less painful. They also help individuals increase their skills for coping with life's stressors. Amphetamine recovery groups, and Narcotics Anonymous also appear to help, along with cognitive-behavioral interventions. No specific medications are known to exist that are helpful for treating amphetamine dependence. On occasion, antidepressant medications can help combat the depressive symptoms frequently experienced by newly abstinent amphetamine users. Overdoses of amphetamines are treated in established ways in emergency rooms. Because hyperthermia (elevated body temperature), and convulsions are common, emergency room treatment focuses on reducing body temperature and administering anticonvulsant medications. Acute methamphetamine intoxication is often handled by observation in a safe, quiet environment. When extreme anxiety or panic is part of the reaction, treatment with anti-anxiety medications may be helpful. In cases of methamphetamine-induced psychoses, short-term use of antipsychotic medications is usually successful. According to the DSM-IV-TR , some individuals who develop abuse or dependence on amphetamines initiate use in an attempt to control their weight. Others become introduced through the illegal market. Dependence can occur very quickly when the substance is used intravenously, or is smoked. The few long-term data available show a tendency for people who have been dependent on amphetamines to decrease or stop using them after eight to 10 years. This may result from the development of adverse mental and physical effects that emerge with long-term dependence. Few data are available on the long-term course of abuse. The NIDA reports that studies provide direct evidence that chronic use of MDMA causes brain damage in humans. Using advanced brain imaging techniques, one study found that MDMA harms neurons that release serotonin. Serotonin plays an important role in regulating memory and other mental functions. In a related study, researchers found that heavy MDMA users have memory problems that persist for at least two weeks after stopping use of the drug. Both studies strongly suggest that the extent of damage is directly related to the amount of MDMA used. In 1999, NIDA began a program known as the "Club Drug Initiative" in response to recent increases in abuse of MDMA and related drugs. This ongoing program seeks to increase awareness of the dangers of these drugs among teens, young adults, parents, and communities. Research indicates a pervasive perception among users that MDMA is a "fun" drug with minimal risks. This myth might point to the main reason for the widespread increase in the drug's abuse. The Club Drug Initiative seeks to make the dangers of MDMA use far better known. Evidence of the program's initial success of this initiative might be seen in what is considered a growing perception by high school seniors that MDMA is a dangerous drug. Kaplan, Harold I., MD, and Benjamin J. Sadock, MD. Synopsis of Psychiatry: Behavioral Sciences/Clinical Psychiatry. 8th edition. Baltimore, MD, Lippincott Williams and Wilkins, 1998. NIDA Notes 14, no. 4, November, 1999. NIDA Notes 16, no. 5, December 2001. NIDA Notes 16, no. 6, February 2002. NIDA Infofax #13567, Nationwide Trends Notes. Narcotics Anonymous (NA). PO box 9999, Van Nuys, CA 91409. (818) 780-3951. National Institute on Drug Abuse (NIDA). U.S. Department of Health and Human Services, 5600 Fishers Ln., Rockville, MD 20857. (301) 443-6245. <http://www.nida.nih.gov> . I have a friend who took about 420 mg. of Vyvanse withhin 40 hours. Now she is having some problems. She has a dark coloring under her skin, it is all over her back,around her abdomen(which is making her feel very sick)it also goes around her neck, down her arms,and under arms. She is having some chills and is feeling sorta disoriented and confused. Also her face has a funny look to it. It is almost scary to look at her cause her face is so"vacant" looking. I am really worried about her cause she also has Bipolar Disorder, though she doesn't take meds for it. I am worried she has amphetamine poisoning or something. What can I do for her. Also she has an ulser I think. She is also feeling very weak. I would like to reference and cite your article on Amphetamine – Related Disorder to use in my doctorate thesis "The Extended Guide of Psychological Terms for Biblical Counselors" for both Definition and Description. I would gladly send you a copy of what it would look like as put on the page. Thank you in advance for you consideration.